People light lamps when site come back to Ayodhya with Rama after a long time. The people of Ayodhya celebrate this occasion as Diwali. They enlighten and clean the house. This is the biggest festival of the Hindu religion. Diwali is the biggest Hindu festival of Indian people and everyone celebrates this occasion with happiness. Now share the history, story, and significance of this celebration. SMS and Quotes are also very famous among people. Indians celebrate this festival in the month of Kartik (Night). That day is Amavasya. Hindu family clean his house and decorate their home with flowers and lights. They prepare Laxmi and Ganesh Puja in the evening after enlightening house from Diya. The puja starts in Pradosh Kaal. Celebrate this by exchanges of gift, fireworks and dry fruits. They purchase new clothes for his family and illuminated houses with diya lights and electric Jhalar bulb. Send the message to friends, colleagues and family members. They contain Diwali Quotes, SMS and Greetings Cards. Text messages are also shared with each other. The basic History Of Diwali celebration is interesting and motivational. Ram was the seventh avatar of Vishnu and defeated king Ravana. People believe that Ram returned to Ayodhya after 14 years of exile. This is the main factor of the celebration of Dipawali. Another belief of people that goddess Lakshmi comes in the house and bless for happiness. To start Laxmi Puja, You will be kept a red cloth on the right side. Keep the idols of Ganesh & Laxmi. Just wrap-up the murti with the cloth. Now start puja. 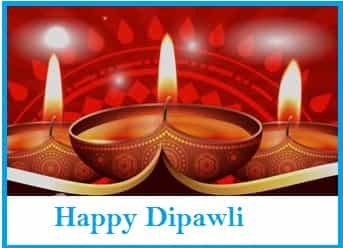 The basic meaning of Deepawali is “a row or cluster of lights of clay lamps or diya”. Indian people celebrate this occasion with crackers like Rocket, Chakri, Fuljhari, Anar, etc. Indians, who reside in other countries also celebrate this festival with Indian culture. They do not lose this opportunity at any cost. Recently American President ‘Trump” has also arranged Dipawali in the white house and invited Indians. Phatne ki kadi to dekho, Lakshmi ji ke aane ki ghadi to dekho. Man ke andhiyare ko hataw, Nai soch ko diye dikhaw. Share these quotes, story, history, SMS with your family member and friends. Purchase "Mitti Ke Diya" from Kumhar and lighten your house with lots of happiness and wishes.